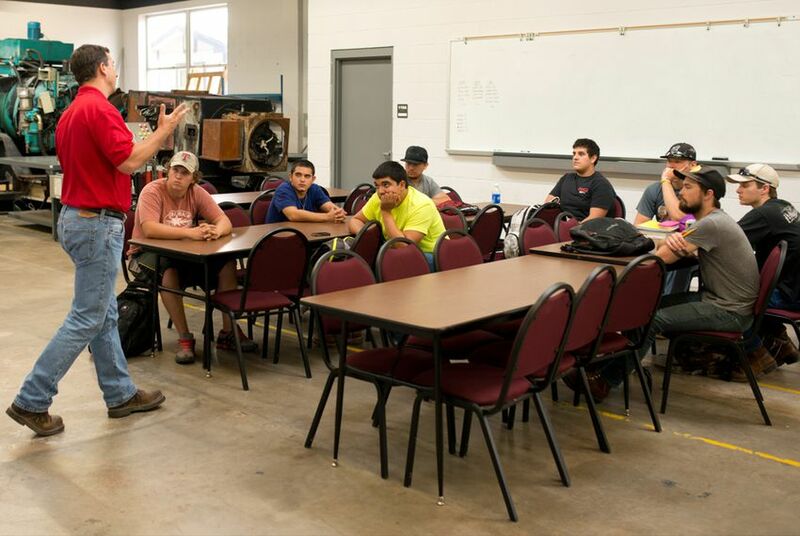 With the launch of a new initiative on Monday, the Texas State Technical College System could help revolutionize how colleges align their curriculum with workforce demands and help their students match up better with employers’ needs. The new Center for Employability Outcomes at TSTC, whose website went live this week, will operate in close coordination with the Texas Workforce Commission, the Texas Higher Education Coordinating Board and the Texas Education Agency. The center is largely built around the Common Skills Language Project, the name given to a more than five-year effort that originated at the Workforce Commission. In an effort to get employers, educators and policymakers on the same page for the purposes of economic development planning, the commission began amassing simple, industry-vetted descriptions of skills sought by employers in Texas. That library now includes more than 3,000 “skill statements” — or “detailed work activities,” as the commission calls them. Examples of such statements include “analyze engineering problems in electronic manufacturing,” “manage inventories or supplies” and “use knives to prepare food or animal products.” Altogether, the statements can be configured to describe roughly 900 occupations. TSTC has been the commission’s education partner throughout the effort to build a common language. Bettersworth and his team realized that this could be a boon to their efforts to align their course offerings with the labor market. Following the system’s recent shift to a funding formula largely based on the income of former students, the incentives to be more responsive to industry needs are particularly high. So they built an application that allows college administrators to upload course curriculum and degree plans for analysis using the common skills language. Using natural language processing similar to that found in IBM’s Watson or Apple’s Siri, the application allows administrators to upload course descriptions that are translated into the common skills language. The results are then mapped against the skill-sets — selected from the same library of statements — that industry experts say are actually needed in today’s workforce. The analysis provides instructors and administrators a sense of the gaps between what is being taught and what employers are seeking in potential employees. The administrators can then adjust their curriculum accordingly. Since 2011, 22 colleges in multiple states have tested out the program, referred to thus far as the Student Outcomes Alignment Application, to better tailor more than 900 courses to workforce needs. Paul Potier, an Austin Community College professor of electronics and advanced technology, was among those testing the application early. Though he said changes would not occur overnight because proposed curriculum tweaks would still have to wind their way through the traditional approval process, he was excited to be participating. “I think these guys have hit on a great model in that we are getting away from anecdotal information and into more data-driven decision-making,” Potier said. TSTC is accepting applications for up to 20 additional Texas colleges to participate in another round of curriculum alignment, using the beta version of the application, scheduled to start in September. To date, funds for activities related to the Common Skills Language Project have been provided by the related state agencies. Bettersworth said the center would soon put out a request for proposals for a technology partner to help them expand the capacity of the platform and the make the skills statements library available for licensing. In doing so, he hopes TSTC can create a sustainable source of revenue that makes their efforts less dependent on grant funding. Other applications related to the common skills language are also in early stages. “We are just now starting to see the implications and ramifications of having this common skills language,” Richard Froeschle, the director of the Workforce Commission’s Labor Market and Career Information department, who led the creation of the skills library. Froeschle noted that the Workforce Commission recently launched its first public-facing application that uses the resource. Aimed at veterans, a specialized website allows individuals to upload their resumes, which are translated into skills statements and then — not unlike finding the best match on a dating site — connected to job postings around the state that have also been translated. As an example of other possible applications, Froeschle said they have worked with companies like Chevron and Toyota on an experimental basis to analyze job postings and see if they are accurately communicating the skills needed for the job. While the concept of a need for a standardized way of discussing skills is not new, the data-centric approach being taken in Texas is drawing national attention. It has been two decades since Congress approved the creation of the National Skill Standards Board, which also sought to develop a more cohesive approach to workforce development. Bettersworth said the work at the new Center for Employability Outcomes is different in that it is not intended to be prescriptive. This story was produced in partnership with EdSurge, a leading site for educators, entrepreneurs and investors involved in education technology.